We are leading the industry in smart tech that automates everything in your conservatory. Automated blinds that will sense changes in temperature and automatically open or close to maintain pre-programmed temperature settings. Using the latest technology to be energy efficient, your conservatory will work to ensure your room stays at whichever temperature you specify. Irrigation systems set in place automatically give the proper amount of water to each individual plant. Smart device integration – so that you can control your conservatory from you mobile phone or voice controlled speaker. The windows can sense if it’s raining outside, and close automatically. 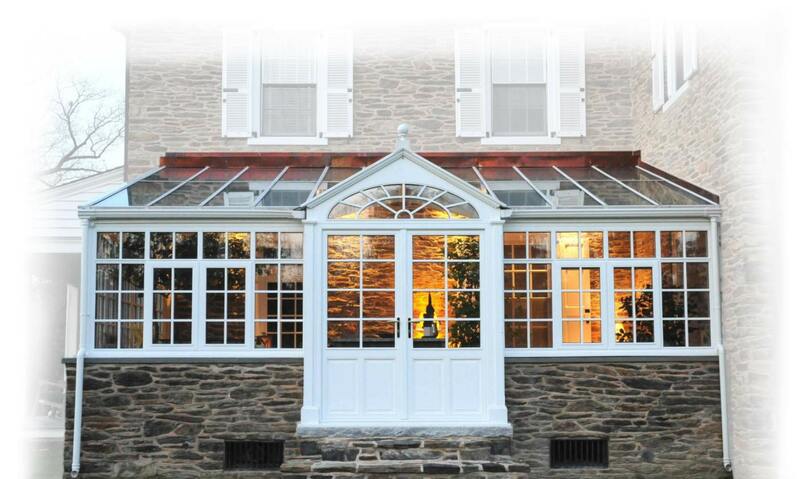 As well as open or close depending on the temperature regulation needs of the conservatory. A room so smart, it does the thinking for you. Remote Automation: Our conservatory automation system allows you to operate everything with a touch of a button, or set it on auto and let it adjust itself. You can control the temperature of your conservatory, decide if the blinds should be up or down, and turn on the humidifier or ceiling fan. Watch the blinds and keep an eye on the plants with remote video camera or control the time and length of automatic watering. You’ll have absolute control over the temperature and settings in your conservatory or greenhouse, from anywhere in the world. 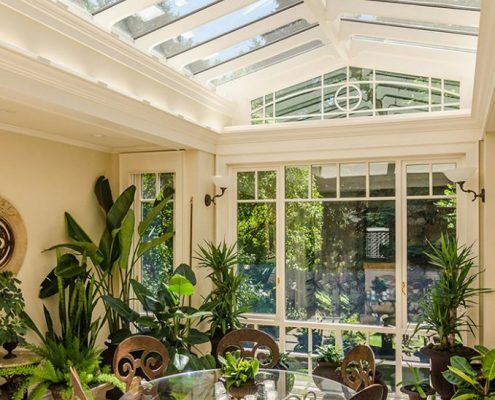 A great conservatory should enhance your life and the time you spend at home, not cause additional stress. 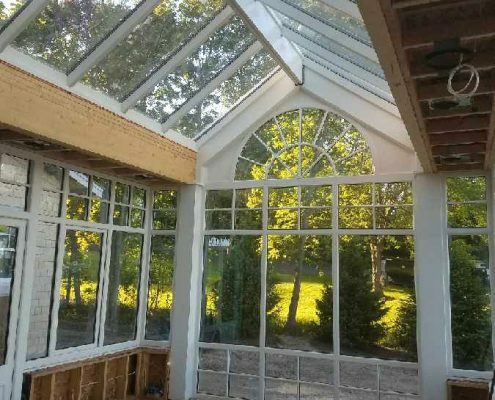 So we put in the automation systems that allow you to sit back, relax, and spend quality time with family and friends in your conservatory while admiring the tranquil atmosphere and fantastic views – without any hassle. 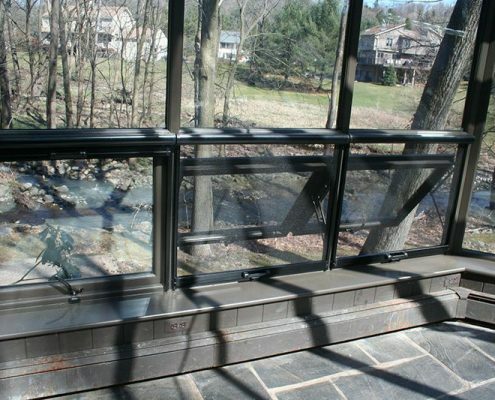 Shades and blinds – Control how much sun you get, and ensure privacy when needed, with our motorized shades and blinds. Window ventilation and cooling – Our ventilation options will keep the temperature within your conservatory comfortable, no matter the weather. 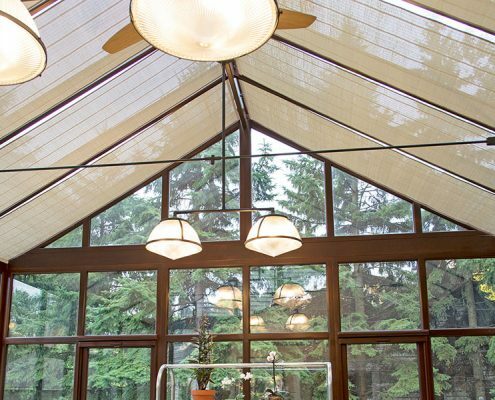 Heat exchange – Keep the warm air out of your conservatory with our heat exchange systems. They lower indoor temperature by pumping the heat outside. Lighting – Whether it’s evening, or just a little dreary outside, you can bring the light back into your conservatory with lighting on full power, or dimmed to a subtle glow. In-floor heating – We offer an in-floor heating installation option that slowly and steadily warms up your conservatory. Complement it with a secondary heating source for optimal temperature efficiency. Measured watering – Keep your plants healthy with minimal effort. Take advantage of our automatic watering systems to make greenhouse watering easier.